Note: Sir Muhammad Iqbal, 自我的秘密 (Ziwodemimi), trans. by Liu Shuxiong (Beijing: Peking University, 1999), p. 209. Bibliography: Iqbal, Sir Muhammad. 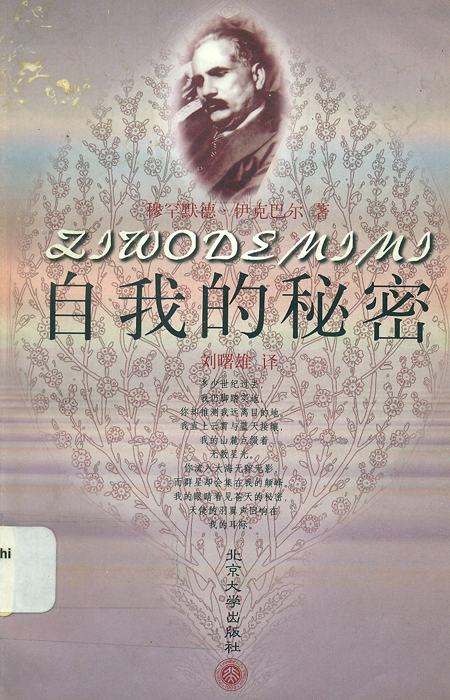 自我的秘密 (Ziwodemimi). Translated by Shuxiong, Liu. Beijing: Peking University, 1999.